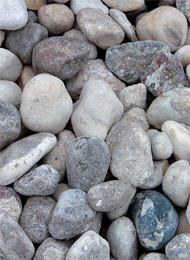 Washed river stone is very ornamental and is often used under trees or as edging by driveways. Shredded industrial pallets are environmentally friendly and replenish organics. 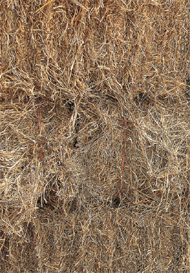 Straw mulch breaks down and adds nitrogen to the soil. Mulch keeps soil moister, decreases weed germination and stabilizes soil temperatures, all of which makes your plants more productive. 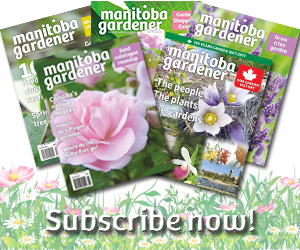 If you haven’t jumped on the mulch bandwagon yet, consider this: the University of Manitoba did a couple of studies on mulch. They used alfalfa mulch on wheat. The grain yield was higher in the mulched areas than the areas treated with chemical fertilizers. In the second study they used five types of non-organic coloured mulches on 67 types of oriental vegetables. All the yields increased except the oriental watermelon. At the University of Minnesota they used newspapers and straw. Although it was judged as not aesthetically pleasing it was as effective as any other mulch for weed control and protecting the fruit. There are challenges when using mulch. 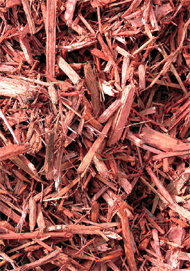 Organic mulches (including straw, wood chips, bark, pine needles, sawdust, cocoa hulls, compost – essentially anything that is biodegradable) decompose and need to be replenished annually. Fresh organic mulches reduce the available soil nitrogen for a short period then they add to the soil nutrient levels; you can correct the balance by adding manure or a nitrogen fertilizer before mulching. 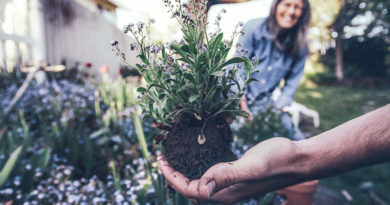 Fresh grass clippings can be used, but you need to consider that if your lawn is treated with pesticides or fertilizers the clippings can transfer the chemicals to your garden. 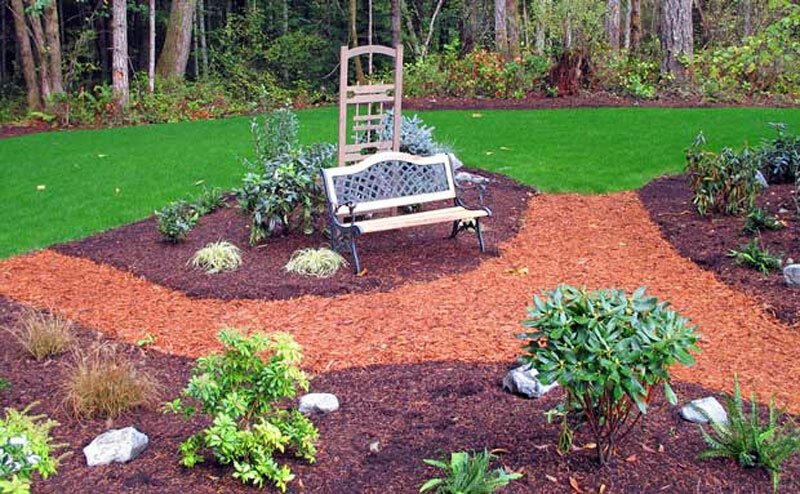 Any green vegetation when used as mulch heats the soil as the decomposition process starts. 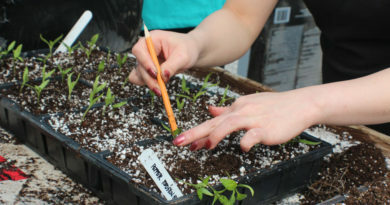 You can use this to your advantage; for instance, you can apply fresh grass clippings between the rows in your vegetable bed in the early spring to get the soil warming up earlier. Hydrangeas and other acid-loving plants benefit from an annual mulching with pine needles or pine bark to acidify the soil surface slightly. It’s a slow process, but you can expect improvement within about two years. Pine needles can be hard to obtain commercially. If harvesting your own, make sure you only remove the needles from a forested area a maximum of three times in 35 years, as they are a necessary part of the forest ecosystem. Cocoa hulls make an attractive mulch with a decadent chocolate scent. There are a couple of drawbacks, though. One is that it is not a local product, which is of environmental concern for some consumers. The other is that chocolate is poisonous to dogs, so if you have a small dog (large dogs would have to consume an awful lot to be affected) that eats everything he can reach, you might not want cocoa hulls in your garden. Inorganic mulches have higher up-front costs, but since they don’t decompose you won’t have to spend on topping up every year. A small dealer quotes $100 to $300 for landscape fabric and stone to cover a 12-foot by two foot area for a dry riverbed. Landscape fabric is definitely recommendable when using river stone or other inorganic mulches; they do discourage weeds, but when weeds do come up, they’re a real pain to remove in a rock bed. You can purchase rubber mats made from recycled tires for an effective weed retardant for around trees. These materials don’t increase the nutrients in the soil but they stabilizing soil temperature, and reduce the need for watering. Most are only large enough for fairly small trees. 1. Generally apply mulch in early July after the soil has warmed (earlier for sandy soil, a little later for clay.) You can also mulch after the ground is frozen in the fall, before there is a snow load, to protect the roots from spring frost upheaval. 2. Water deeply before adding mulch in the summer. 3. Add nitrogen or manure if the mulch is green. 5. Pull mulch back from stems and trunks. 6. Correct mulching should mimic a natural field or forest ecosystem.